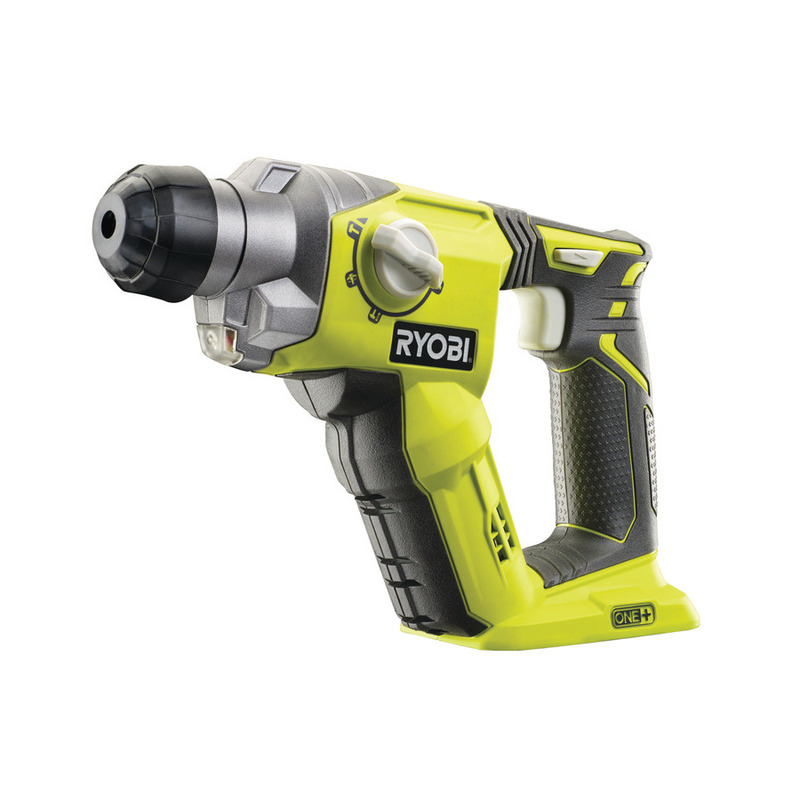 RYOBI ONE+ 18V CORDLESS SDS+ (PNEUMATIC) HAMMER DRILL R18SDS-0: The 18V ONE+™ System introduces the world’s 1st cordless consumer 4 mode SDS+ hammer drill. Ideal for drilling into masonry and concrete, as well as light tile removal. The new 18 V ONE+™ Cordless SDS+ Hammer drill is compact yet powerful and is designed to offer consumers similar performance and capabilities to corded power tools but with the added convenience and ergonomics of a cordless tool. 4 Mode SDS: Rotary Hammer, Drill, Chisel and chisel adjust. Ryobi® are proud to introduce the latest addition to the 18V ONE+ system. The world’s #1 cordless tool system where one battery can be used to power multiple garden and power tools. A pneumatic hammer mechanism enables this tool to effortlessly drill holes up to 16mm in concrete. With 1.3J impact energy (EPTA) and up to 5,000 beats per minute this SDS+ drill delivers truly astonishing performance. The first cordless 4 mode SDS+ in its class gives users the added versatility to hammer drill in brick and concrete or drill without hammer action in wood, metal or tile, whilst Chisel and Chisel adjustment modes make it quick and easy to remove tiles. The super compact L-Shape design is intended to allow the user to get closer to the work surface for better control. The ergonomically designed handle comes with Ryobi’s Gripzone+ micro texture for added comfort and control whilst a built in LED keeps the work piece illuminated and clearly visible. And the innovation doesn’t stop there! AntiVibe technology enables the R18SDS to deliver vibration levels similar to competitive drills despite providing almost twice the impact energy.